According to the THU, pet-owners are to bring their pets' paper work from their vet proving that the shots are up to date. The vet tag on the collar is not good enough. When the inspector comes on the grounds, unannounced, he will approach people with pets and they have to show the paper work to prove the pet is vaccinated. If they don't have it, it falls back on us because we are in non-compliance which can mean fines or even closure. HELP!?! Friends of SBC. If you're coming to camp this year for family camp, consider volunteering! We really need some workers and you will get your room and board. No one works too long or hard - most "jobs" don't take more than 3 hours a day! This is important because Family Camp CAN'T function without sufficient volunteers. 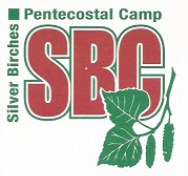 You will be blessed to be part of something amazing and you will be connected to an amazing family - the SBC family! IF you can, call or email "volunteer coordinator" to find out what cool job you can do... asap!